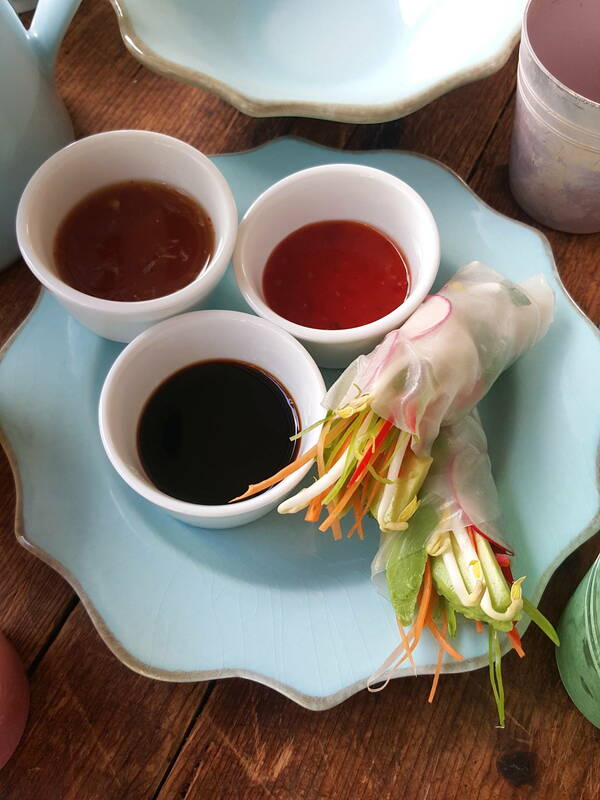 Dipping sauce - the perfect dip for rice paper rolls and seafood. This is a useful dipping sauce for vegetable dishes and seafood. 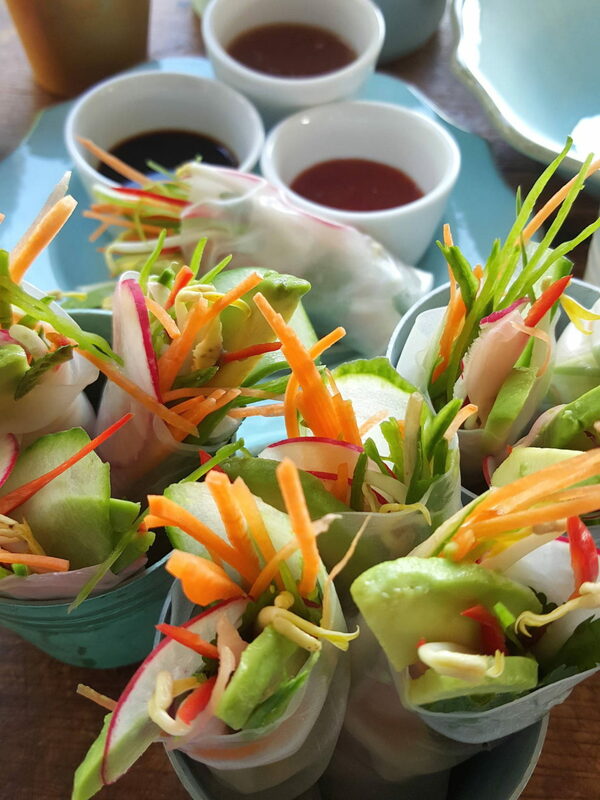 To make the dipping sauce, mix everything together in a small bowl. Taste and adjust, adding more lime juice to sharpen, more sugar to sweeten, more fish sauce if it tastes flat and more chilli to make it hotter. Dipping sauce at top of picture. Also pictured, soy sauce and sweet chilli sauce.